The extraembryonic endoderm is a derivative of the hypoblast cells that migrate into the blastocyst cavity (beginning on day 8 of human embryonic development), and line the cavity, giving rise to the primary and definitive yolk sacs. The extraembryonic endoderm fills the remaining cavity of the blastocyst. 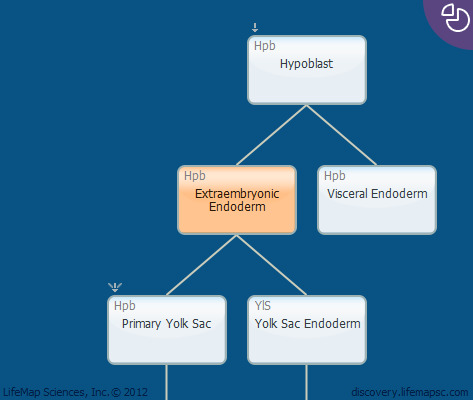 The above description and linking of the extraembryonic endoderm to the hypoblast pertains to human embryonic development. In mouse development, the extraembryonic endoderm arises from the primitive streak.